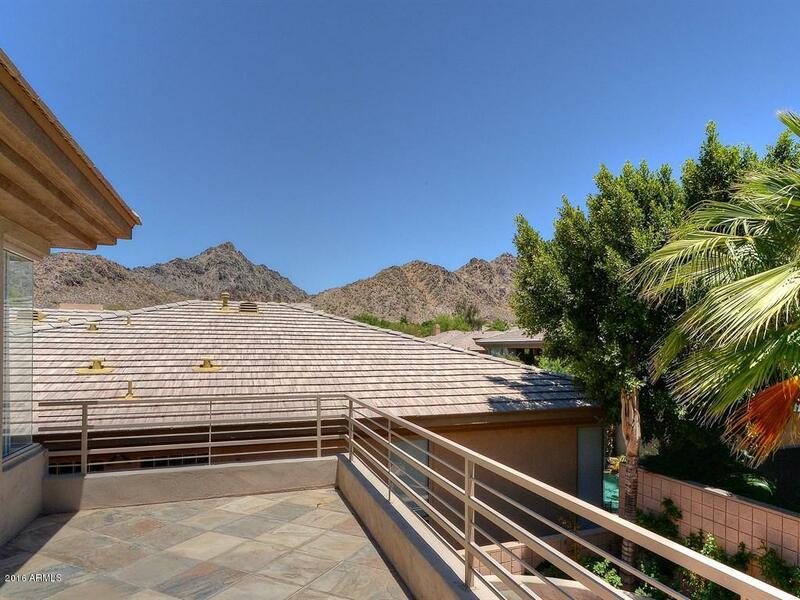 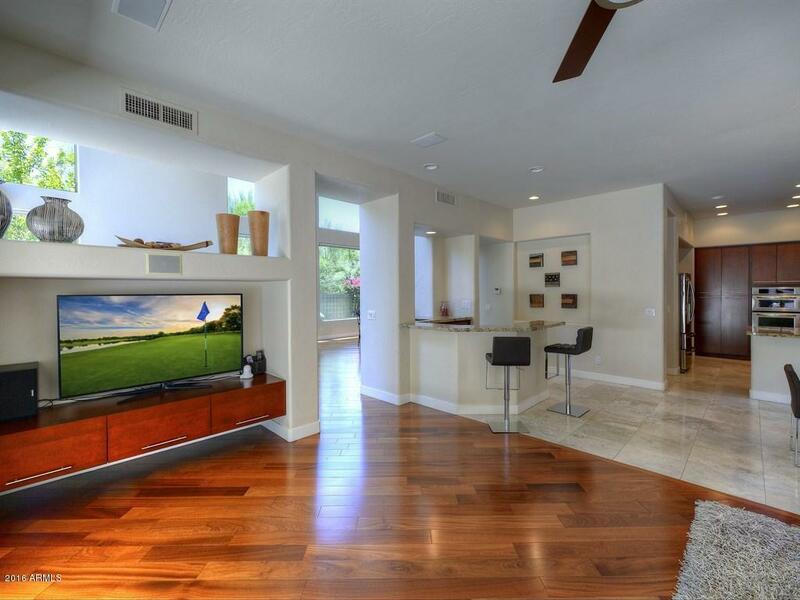 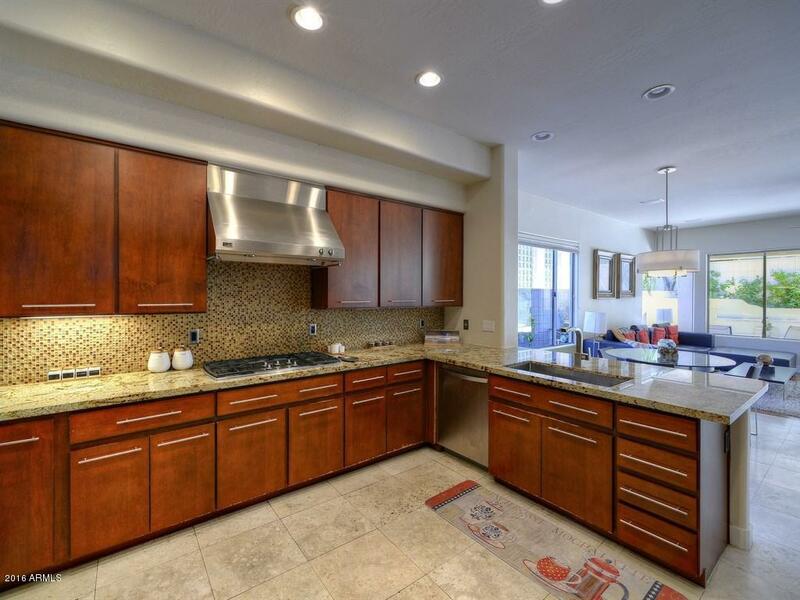 Located within the gated Community of Biltmore Hillside Villas, this home remodeled by Ownby Designs in 2010 showcases mountain views as well as vaulted ceilings and fabulous windows. 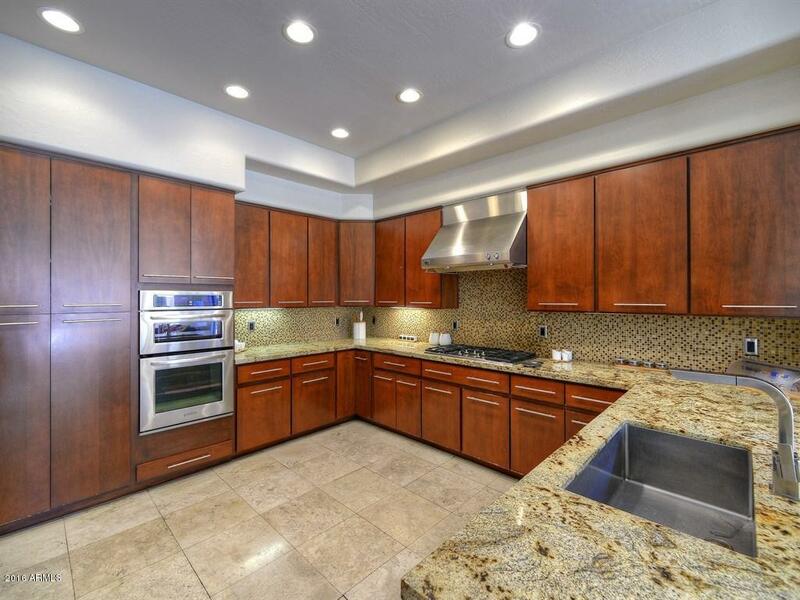 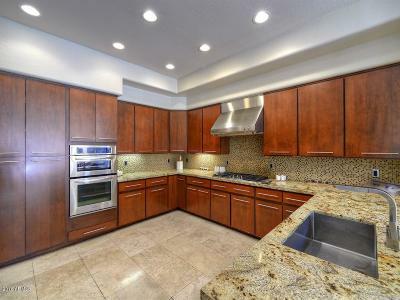 The gorgeous, updated kitchen includes a wet bar with travertine and wood floors throughout the living areas as well as a formal dining area. 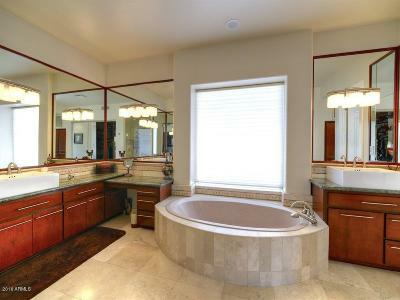 The master bedroom suite features a steam shower as well as a custom spa tub seperate sink and cabinetry areas along with a large wardrobe closet. 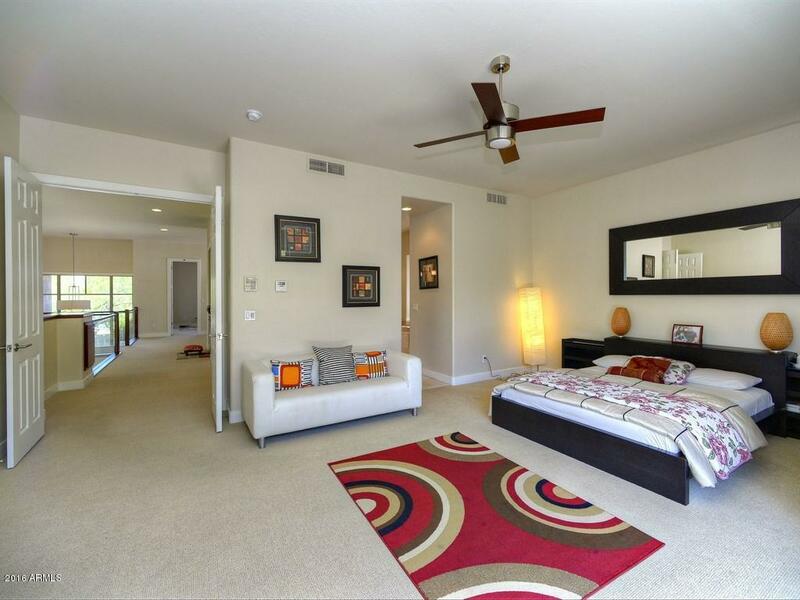 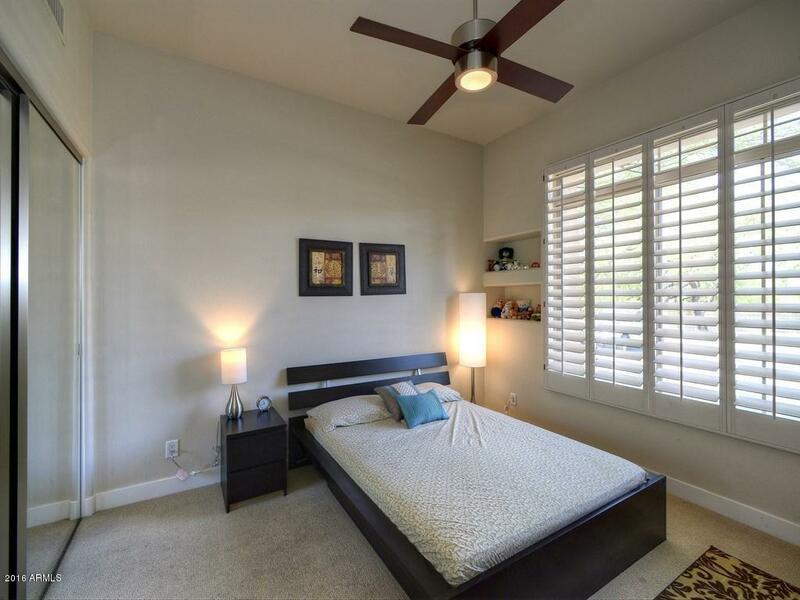 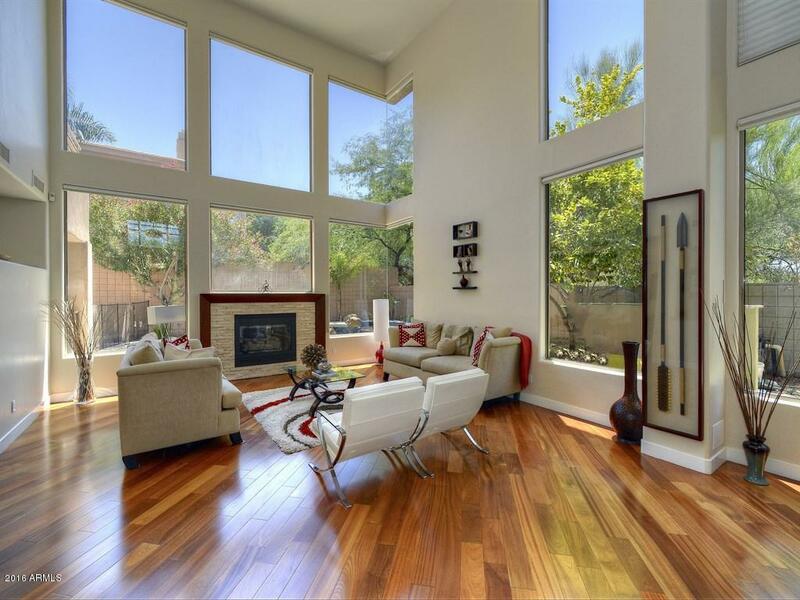 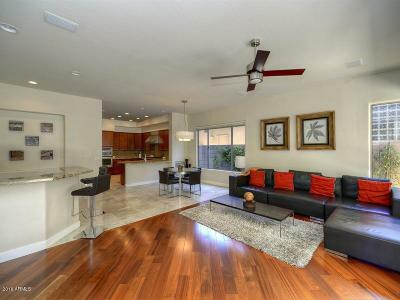 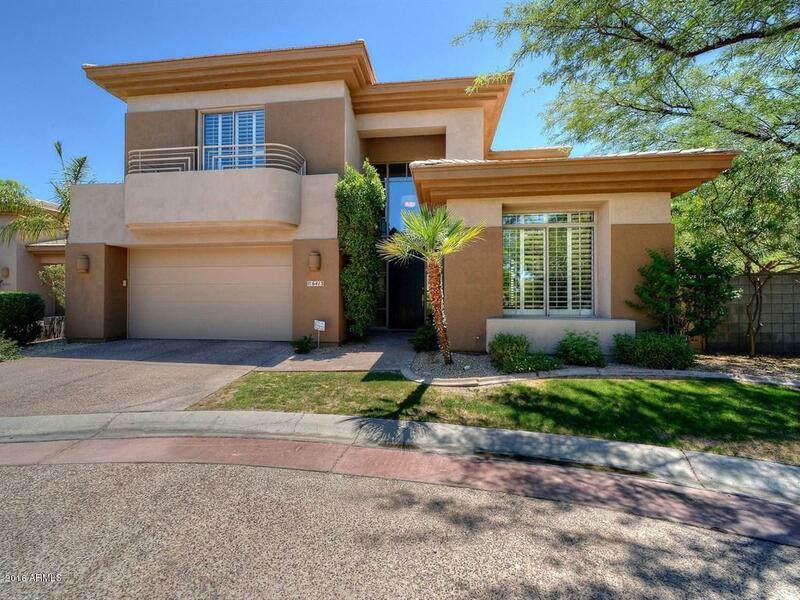 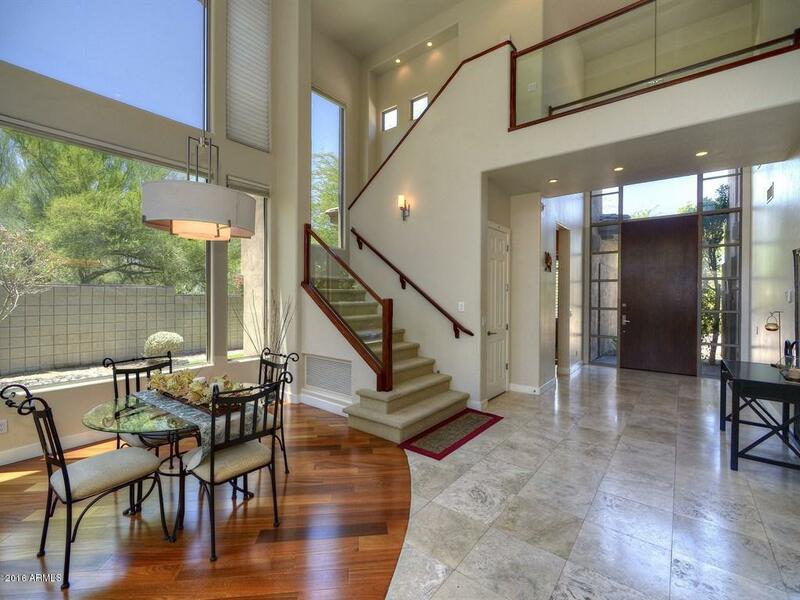 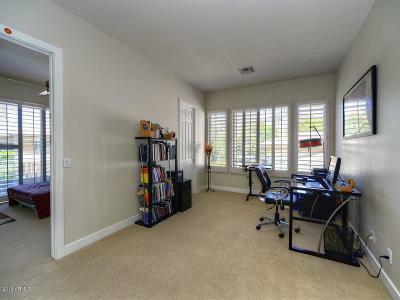 This fantastic home showcases electric shades as well as a loft and master bedroom balcony. 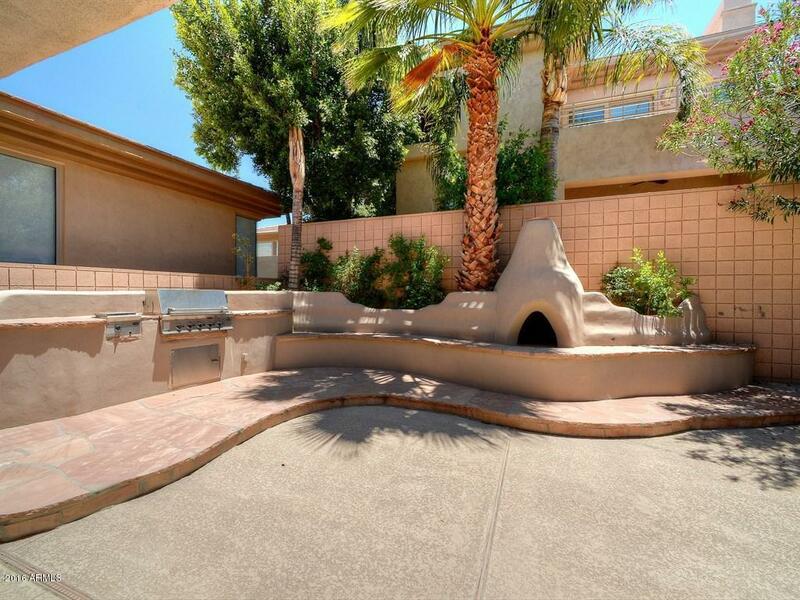 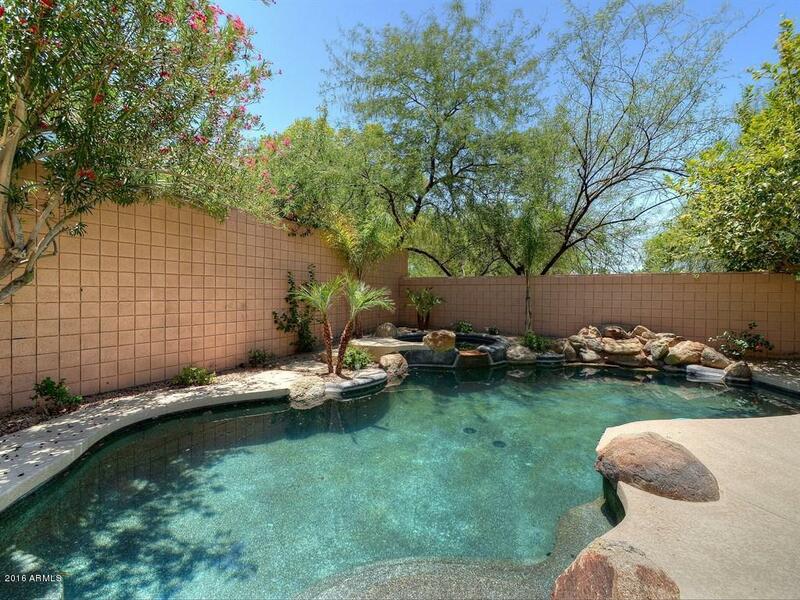 Backyard boasts lush landscape(artificial grass) and a heated pebbletec pool/spa, Built in Fireplace, Sitting Areas & BBQ.